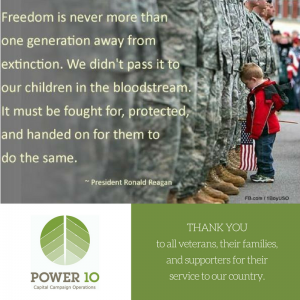 On Veterans Day and every day, POWER 10 is mindful and appreciative of the courage and commitment of our country’s armed forces. Thank you, especially, to current and former clients and friends of POWER 10 who have served our nation. Campaign Victory for Partnership Gwinnett!